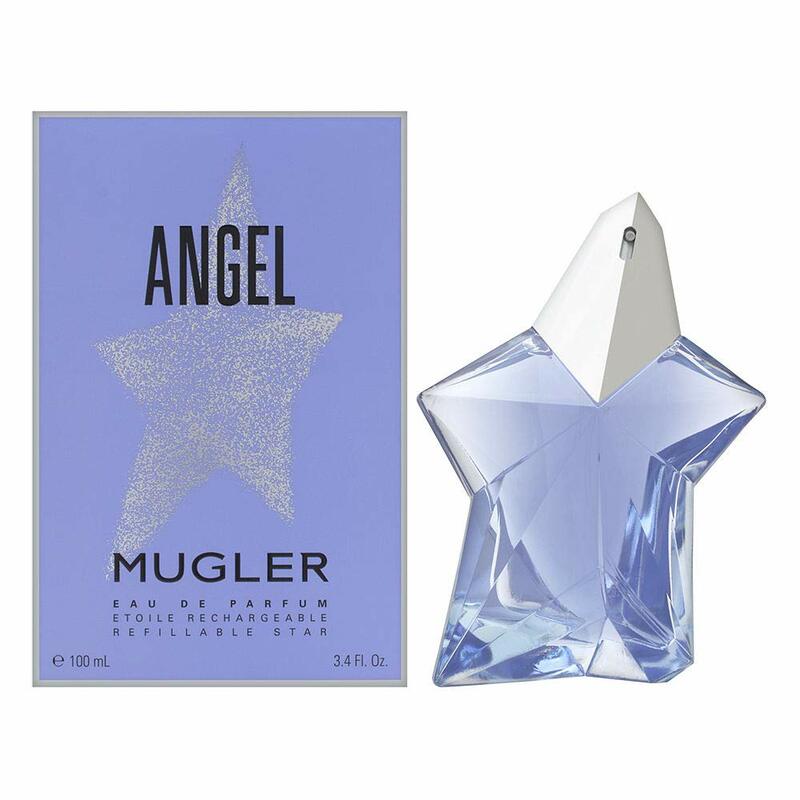 Angel Eau De Parfum (1992) By Thierry Mugler for Women*. 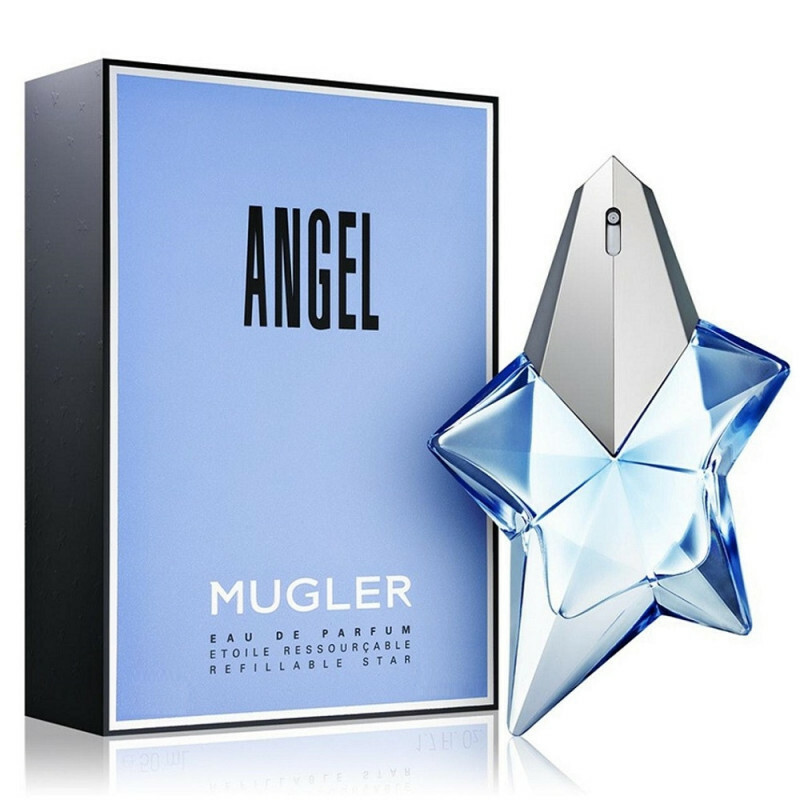 Angel by Mugler is a Oriental Vanilla fragrance for women. Angel was launched in 1992. Angel was created by Olivier Cresp and Yves de Chirin. 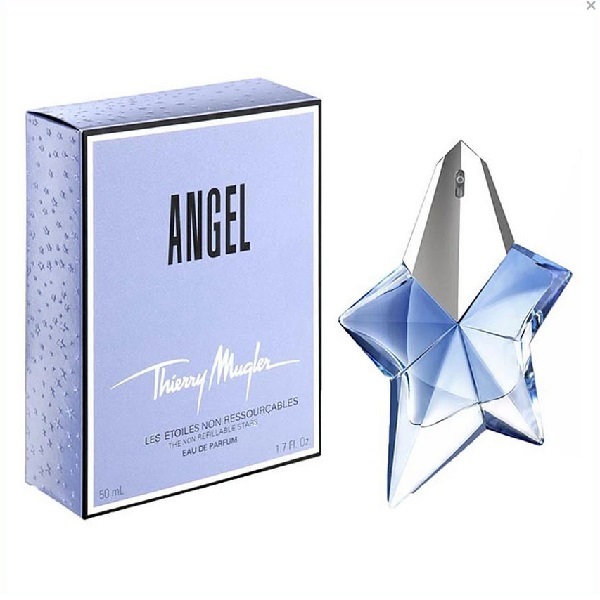 Top notes are bergamot, melon, coconut, mandarin orange, jasmine, cassis, cotton candy and pineapple; middle notes are caraway, nutmeg, honey, apricot, blackberry, plum, orchid, peach, jasmine, lily-of-the-valley, rose and red berries; base notes are tonka bean, vanilla, patchouli, sandalwood, amber, musk, chocolate and caramel. This perfume is the winner of award FiFi Award Hall Of Fame 2007.